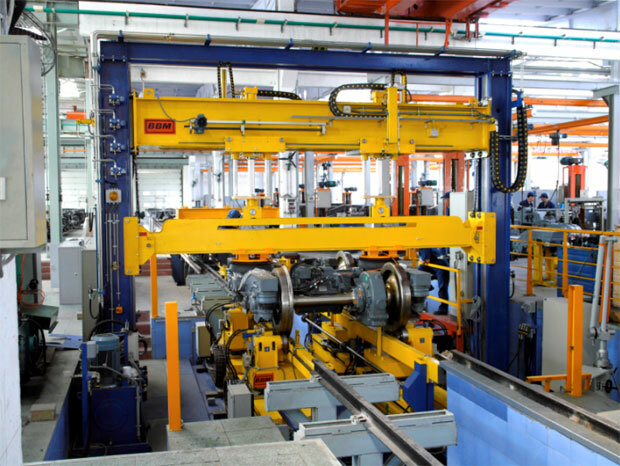 BBM manufactures bogie stands for mounting and dismounting equipment on bogies and testing bogies before they are installed onto the rail vehicles. 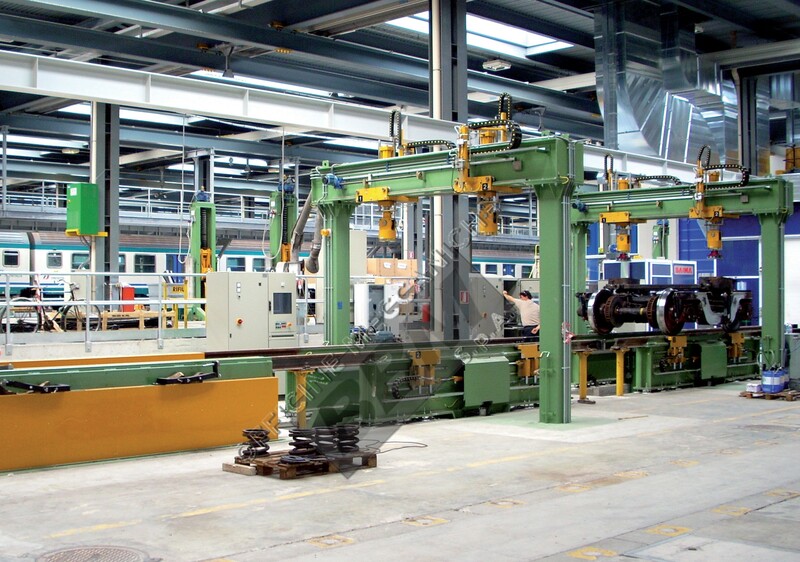 Our bogie testing benches can be installed in a pit so that the rails are at floor level, or on standard industrial floor, dependent on customer requirements. 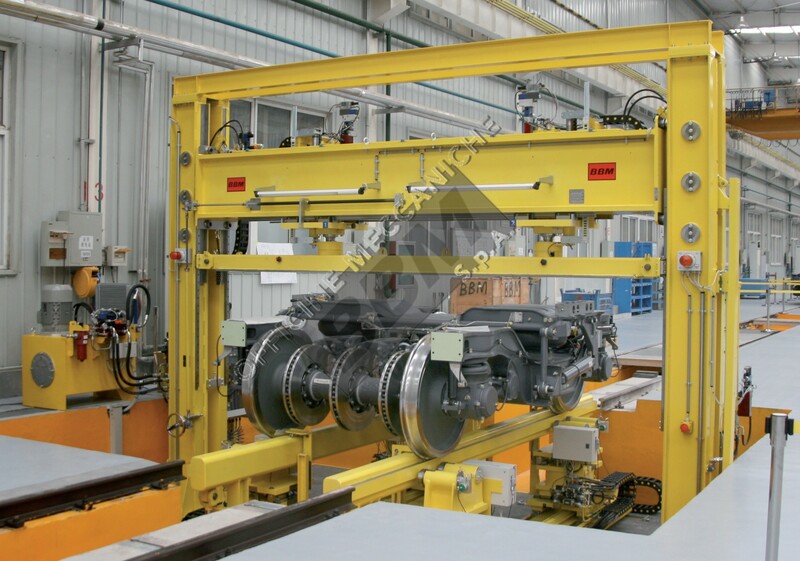 Bogie presses range from very simple machines, for mounting and dismounting operations only, to complex solutions that can deal with multiple rail gauges and measurement of a large number of parameters on the bogie such as wheel gauge, axle parallelism, axle distance, axle diagonal, wheel diameter, wheel distance, shim calculations etc.